Would a New Credit Card Help Your Credit? If you are like thousands of other Americans, every day you open your mailbox you find at least one credit card offer among all the other junk mail and bills. In the past, you probably just pitched it into the garbage (after you shredded it) and did not think too much about it. But lately you have been working on improving your credit and you start to think maybe your FICO Score is higher than you thought, hence all the new credit card offers. So, after the next visit to the mailbox you pause and give some thought– maybe it’s about time I get a new credit card. Well, before you do you need to give serious consideration to this very important question – how will a new card affect my FICO Score? Let’s find out! The first thing to do would be to make sure you know exactly what your FICO score is before you apply for a new credit card. This way you have a benchmark to compare to. The best place to get a 3-bureau credit report and score, in my opinion, is from myFICO.com. You can sign up for a monthly program for around $29/month, which is worth it if you want to keep track of your scores. There are a lot of free offers out there, but they only give you a VantageScore – which is not the same as a FICO Score. Lenders typically use FICO scores when evaluating new credit card applications. Applying for and obtaining a new credit card will affect the following categories, Amounts Owed, Credit Mix, and New Credit, which in turn will affect your credit. So, let’s break these down to see if getting a new card will be a positive or a negative to your overall credit history. You have a VISA and a Macy’s credit card. Your VISA credit limit is $1,000 and your Macy’s account has a limit of $500. Your total available credit is $1,500. You have a balance on your VISA of $800, and $300 on your Macy’s card. Next, you divide $1,100 by $1,500 which is 73 percent. That means, you are utilizing 73 percent of your available credit – which is very high. How will a new credit card help your credit in this type of situation? Let’s say you get a new credit card and the limit is $2,000. That just bumped your available credit up to $2,500, which in turn LOWERED your utilization percentage to 40 percent. That will look much better to FICO and chances are it will improve your credit score. But don’t let more credit mean you can spend more. 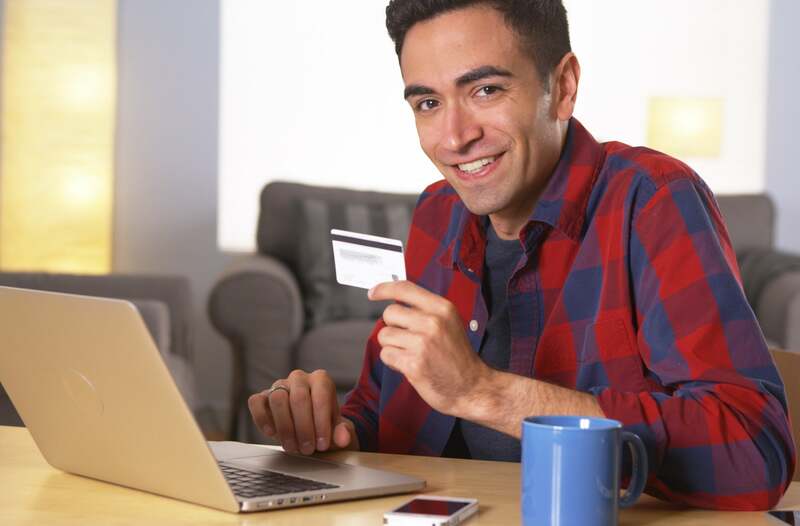 Your next step, after getting your new card, will be to pay down the balances on your current accounts and lower your credit utilization percentage even further. Another way getting a new credit card may help your credit is in the area of credit mix. FICO Scores will consider your mix of credit cards, retail accounts, installment loans, finance company accounts, and mortgage loans. After you review your credit report you need to ask yourself, “What types of credit accounts do I have?” If you only have an installment loan (a car loan) and no credit card accounts, FICO may view you as a higher credit risk than those with credit cards who manage them responsibly. So, if you do not have any type of revolving credit in your credit history, getting a credit card would be very beneficial to your FICO Score. If you are just starting to establish your credit, you might not be approved for an unsecured credit card, but fear not! You can apply for a secured credit card, but make sure you get one that reports to all 3 credit bureaus. This will show a good credit mix, which will in turn help to increase your FICO Score. Shopping for and obtaining new credit cards can sometimes be a bad thing when it comes to your credit. Opening several new credit accounts in a short period of time represents a greater credit risk – especially for those who don’t have a very long credit history established. If you are trying to build up your credit, don’t apply for a bunch of credit all at once. New accounts will lower your average account “age”, which will have a negative effect on your FICO Score. Along with opening new accounts comes the credit inquiries made by these lenders to approve you for this credit. Credit inquiries will stay on your credit reports for two years and FICO does consider those inquires which impact your score and which ones do not. So be careful when you have lenders pulling your credit for review. Taking all of that into account, getting a new credit card will be beneficial if you have not opened a new credit account very recently. If you have, wait a while before you apply for that new credit card. In summary, if you are thinking about whether it is time to get a new credit card or not, you need to stop and think about what this new credit card will do to your credit. If you have been working hard to repair your credit, stop and think if getting this card will increase or decrease your credit score. If you are trying to build up your credit, will getting this card help you in that endeavor? Bottom line is don’t just sign on the dotted line without giving this new card some serious thought. Review your credit situation first, then review the possible effects this new credit card may have on your FICO Score. That will answer the question as to whether or not it is time to get a new credit card. If you find yourself having credit issues preventing you from getting a new credit card, you can start your credit repair journey here. You can also carry on the conversation on our social media platforms. Like and follow us on Facebook and leave us a tweet on Twitter. This entry was posted in Credit Cards and tagged credit card, credit mix, credit report, credit utilization, FICO, inquiries. Bookmark the permalink.